There was a lot of heartbreak for this couple, but they always seemed to find a way to move on. 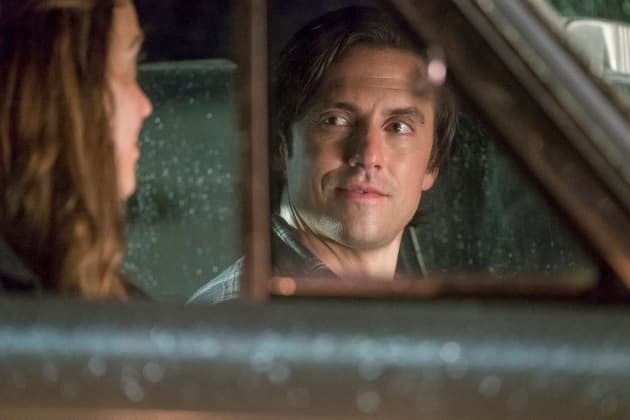 This Is Us Season 3 Episode 1: "Nine Bucks "
Rebecca: I'm sorry, I feel like I'm talking too much. Am I talking too much? Because I feel like I'm talking too much. Please tell me something about you. Jack: Well, my name's Jack. Permalink: Well, my name's Jack. Randall: It is my birthday and I need you to swear it on Oprah. Beth: I'm not doing that. Beth: Fine. I will swear on Oprah. Beth: Even Gayle let Oprah down sometimes. Permalink: Even Gayle let Oprah down sometimes.